Peta’s top tip for aspiring authors: Seek knowledge from those that have been in your shoes. Ask those in your genre what works. Do courses and attend conferences if you know the content is going to help you as a writer. Don’t be afraid to ask as many questions as you can and know that everyone on this journey makes mistakes. The questions you have to ask yourself are – What did I learn from my mistake and how can I apply it in the future? P.L. H arris writes contemporary romance, romantic suspense and young adult with a twist of mystery and intrigue. Her books are rich in storyline and location with characters that stay with you long after you turn the last page. She is a proud member of Romance Writers of Australia and America, Peter Cowan Writers Centre, Making Magic Happen Academy and has a Certificate in Romance Writing. 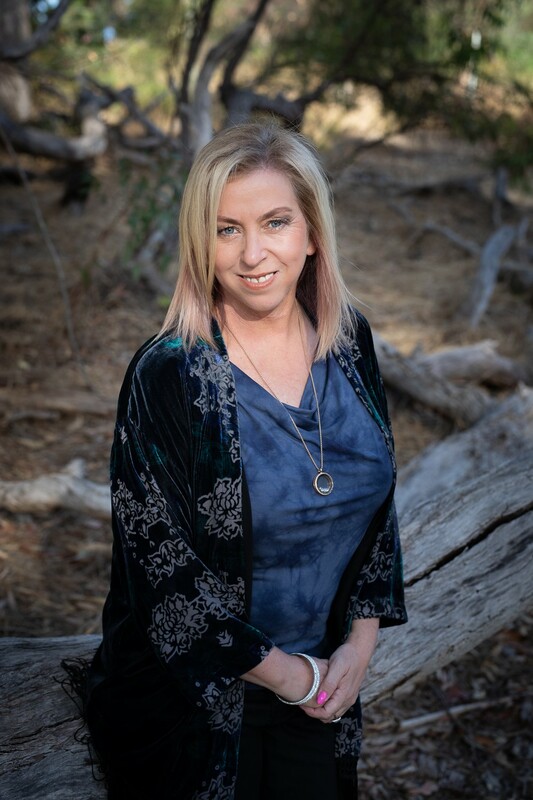 P.L has published stories with Serenity Press, Blue Swan Publishing, Evernight Publishing and now publishes the majority of her books with Gumnut Press. P.L. Harris is an award winning author. Hidden Secrets was a finalist in the Oklahoma Romance Writers of America’s 2017 IDA International Digital Awards, young adult category. Callie’s Dilemma, also a finalist in the Virginia Romance Writers of America’s 2017 Fools of Love Contest, short contemporary romance short category. 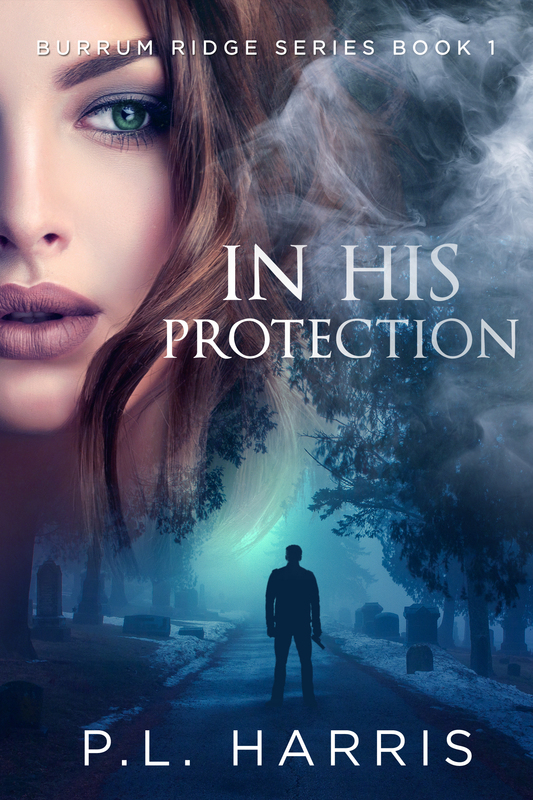 Her upcoming romantic suspense new release, In His Protection was a finalist in the Romance Writers of Australia Emerald Pro Award. (Due to receiving a publishing contract from Gumnut Press it had to be withdrawn from the contest). Why do you write? I loved to make up stories in my younger days. My imagination would always be racing ahead of me. I loved being in a world of make-believe, maybe that’s why I went into the theatre and became a director and drama teacher. A few years ago, I took some time out for me and I started reading again and I realised I could forget the worries of the world for that moment while I was immersed in the story. I found Maya Banks and I was hooked on her books. I realised I wanted to write stories and this was something I could do for me, something that made me happy. Over the past few years writing became an outlet where I could escape reality, and because I write fiction, it allowed me to put a little of myself, my life experience into my stories. I can create a world away from reality where I can go and lose myself in my storyline, my characters and my locations. A world where I have no worries except where to put a comma and if I have used the correct tense. What inspires you? Oh my, that is a loaded question. I guess it depends what genre I am writing. My contemporary romance are inspired by my life and events that I have experienced and my passions, like the theatre. Whereas my cozy mysteries are inspired by the amazing covers by Mariah Sinclair. I fell in love with the covers, but had never heard of the cozy mystery genre. However, I was an avid Murder, She Wrote fan and my passion for writing cozies took off from there. My romantic suspense comes from my interest in the danger and high stakes. Watching characters fall in love on the page is wonderful, but when the stakes are raised and life is in danger the lengths they will go to for their soul mate always gives me a thrill to write. How do you spend your non-writing time? I work full-time teaching Drama and also the Head of Dance and Drama at an Anglican Community School which, although I love it, can often be very time consuming. I also like to spend time with my family and friends. What was your toughest obstacle to becoming published? My self-doubt. It has been a long journey to a place now where I feel comfortable calling myself a published author. Fear of rejection is still something that will always be in the back of my mind, but I learnt a saying a while back which I try and keep in mind – If it is to be, it’s up to me. How involved are you in the development of your books? I see the development of my books as a process from the inception of the idea to the final product. I am what the publishing world calls a ‘plotter’. If I can, I love to plan every detail out so I know where the plot and characters are heading. It doesn’t always work, but I find it gets me to the end destination, eventually. Being hybrid published means when I’m self-publishing it falls to me to do every aspect of the book from writing to editing to cover design and it’s a thrill to see it all come together in the end. What’s the best aspect of your writing life? Apart from holding the physical book in my hot hands at the end of the process it’s hearing responses from my readers and what they have to say about my books. When you can transport someone into another world for a moment, it’s a wonderful feeling. When I get a review that says that they struggled to read the words through their tears because the storyline pulled at their heartstrings, it makes my day. —the worst? Self-doubt. The self-doubt monster always likes to keep me on my toes. Lack of time to write and promote. What would you do differently if you were starting out now as a writer? I would definitely have learnt more about the self-promotion, social media side of the industry right from the start and started that much, much earlier. Follow the experts. If they have tried something and it didn’t work, think carefully if you are going to follow in their footsteps. I would have created another pen name for my different genres, which I have now done, but a year after the first cozy publication. Look out for Polly Holmes in the cozy mystery genre. What do you wish you’d been told before you set out to become an author? A heads up into the world of social media and self-promotion and how to go about it. Creating an author platform and how you go about this would really have helped me a little more in the beginning. What do you hope readers will take away from your stories? I would like my readers to follow and immerse themselves in my characters’ lives and feel that they are a part of their world. Love them, cry for them, and dislike them where necessary. But also feel as if they have experienced something wonderful through the characters’ journey. Is there any area of writing that you find especially challenging? For me, while I love writing I still find it challenging to grasp the editorial nuances needed for great editing. I can get my words down on paper, but are they correct….In the right order….Abiding by the rules of the genre….Maybe. That’s when you have to outsource and surround yourself with the best editorial team possible. What’s the best advice you were ever given? Never give up no matter how much you feel like it. The bad time will pass and if you persist, when the time is right, all the pieces will fall into place. How important is social media to you as an author? Extremely. It’s the way of the future, but also you need to know the right social media outlets to use that will bring the best rewards. Having an author page or twitter account is the minimum I would say in order to promote your brand. Publishers want to know what you, as the author are doing or going to do to promote yourself. Do you experience ‘writer’s block’ and if so, how do you overcome it? Yes, especially when I am working on my cozy mysteries and I have to work on the murder, red-herrings and plot line. I try and step back for a while and maybe move on to something else. I often have a few select people who I can bounce ideas off and toss around plot lines. Usually this works for me and then I can get a rough outline down on paper. I do sometimes talk out loud to myself hoping I may be able to answer my own questions. How do you deal with rejection? Not very well I’m afraid and I have been known to shed a tear or two. But I also remember someone once saying at one of the conventions I attended, “It’s only one person’s opinion at that specific time.” It’s a part of the industry and there is no way to avoid it, but that doesn’t mean it’s not emotionally crushing at the same time. I guess I try and learn from it so that I can make my stories better in the long run. You’ve recently set up a small independent press. How did this come about and what is your dream for Gumnut Press? The main instigator of Gumnut Press was having my publisher, Karen McDermott believe in me and tell me that if she could do it, then so can I. While I had no idea that my writing path would lead me down the publishing track, I am excited to now be heading that way. You can never get tired of the feeling you get when you see your words in print and I want this for other people, so Gumnut Press was born. There is a lack of independent publishers in the northern suburbs of Perth and I want to fill that void with Gumnut Press. My dream is to make it an international company that houses many different authors of various genres, but all with a unique voice that must be heard. How does your experience as an author influence you as a publisher? It certainly tells me what genres I like to read and therefore will publish. Being a writer also helps me identify a good piece of work or writer’s voice. Having a great editor has taught me so much since I started and therefore able to help me spot that writer’s voice which stands out from the crowd. If you had the chance to spend an hour with any writer of your choice, living or dead, who would it be and what would you most like them to tell you about living a writing life? USA Best-selling author, Maya Banks. It was her books that ignited my passion for romance and writing. She writes so many different genres and heat levels that it blows my mind that she can hit each one with precision. I would love her to tell me what her secret ingredients are for my genres. Does she have a checklist of what she includes in each book? What are her writing techniques and how can I better write for my target market?